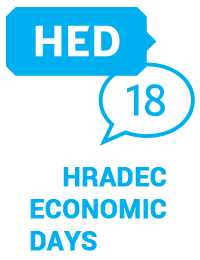 The 16th Hradec Economic Days (HED) will be held at the University of Hradec Králové, the city of Hradec Králové, Czech Republic, on 30-31 January 2018. The University of Hradec Králové organises the conference in cooperation with the Wrocław University of Economics and the Cracow University of Economics. The conference promotes an exchange of ideas and contacts of academicians from fields of interest such as the economy, business administration, and management. This year, the conference framework will feature special sessions on agribusiness and information management. The theme of the conference for this year is Production Economics in the Context of Industry 4.0. Currently, not only macroeconomics but also microeconomics, including operational-level management, are facing a big challenge for the next generation. The most welcomed are topics such as changing roles of innovation, key management technologies, the impact of Industry 4.0, new business models, innovative approaches to the management etc. The main goal of the conference is to present both theoretical and empirical papers. Our plenary session and social event are also a great opportunity for a discussion with conference invited speakers and guests from the Czech National Bank, the Czech Banking Association and also entrepreneurs. Our proceedings, 2005-2014, and 2017 of the previous HED conference series have been already indexed by the ISI Web of Science (the rest is still in the process of indexation). All papers are eligible for a new “Best Conference Paper” award sponsored by MDPI, publisher of the open access, Systems journal and Economies journal. The Business Systems Laboratory International Symposia fosters a multidisciplinary perspective which includes: management, psychology, economics, engineering and sociology. The Symposium 2018 aims to address cutting edge theories and practices for sustainability and social responsibility in and by different perspectives. The Symposium will start on Monday January 22 at 13,00 pm and end on Wednesday January 24 at 18,00 pm. 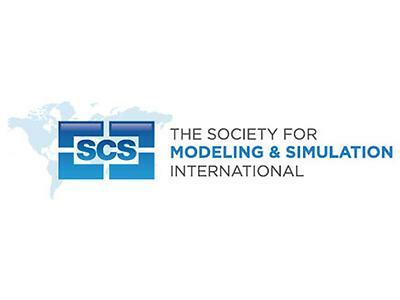 The Summer Simulation Multi-Conference 2017 (SummerSim’17) is a combination of the Summer Computer Simulation Conference (SCSC) and the International Symposium on Performance Evaluation of Computer and Telecommunications Systems (SPECTS). 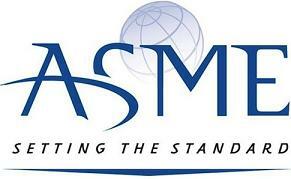 SummerSim is SCS’s premier international conference in cooperation with ACM SIGSIM. The conference focuses on modeling and simulation, tools, theory, methodologies and applications and provides a forum for the latest R&D results in academia and industry. This year’s focus is on the pervasive role of simulation tools, methodologies and technologies for enabling a more informed and effective online decision making. We encourage you to take this opportunity to experience the tutorials, tracks, and workshops that will be available. The conference theme is “Reinventing Life on a Shrinking Earth.” While Earth has not changed size in absolute terms, it is definitely shrinking with respect to the activity it supports. We have all experienced the effects of the greater interconnectivity: global economic recession, global business competition, pandemics, crowding and congestion, depletion of natural resources, strategic acquisition of water supplies, rising health care costs and management, and rapid economic development in many nations, spurring resource depletion, pollution, and climate change. Complex business and societal challenges have arisen from the increasing activity on the globe that conventional institutional designs have failed to address. System Dynamics uniquely provides a strategic framework to explore the challenges of a shrinking Earth, giving a greater understanding and exposing counterintuitive insights that allow us to reinvent our institutions and our lives. 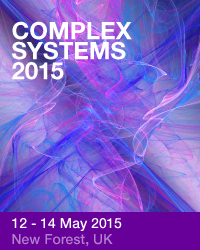 The 2015 Robotics: Science and Systems Conference will bring together researchers working on algorithmic or mathematical foundations of robotics, robotics applications, and analysis of robotic systems. The Conference aims to bring together practitioners of a variety of disciplines interested in developing and discussing the new approaches for resolving complex issues that cannot be formulated using conventional, mathematical or software models. Please join us in this exciting conference experience. Make the most of an invaluable opportunity to hear how industry, government and academic leaders in the fields of systems engineering and test and evaluation are confronting the systems and systemsof- systems integration challenges. Meet and interact with delegates from Australia and the wider international community. The purpose of the 17th International Conference on Enterprise Information Systems (ICEIS) is to bring together researchers, engineers and practitioners interested in the advances and business applications of information systems. Six simultaneous tracks will be held, covering different aspects of Enterprise Information Systems Applications, including Enterprise Database Technology, Systems Integration, Artificial Intelligence, Decision Support Systems, Information Systems Analysis and Specification, Internet Computing, Electronic Commerce, Human Factors and Enterprise Architecture. The 23rd AIAA Aerodynamic Decelerator Systems Technology Conference and Seminar provides the world’s leading scientists, engineers, researchers, and managers, as well as promising students within the field of parachute and aerodynamic decelerator systems, an opportunity to present recent advances before a knowledgeable international audience. Topics include Modeling and Simulation, System Applications and Operations, Testing, Materials and Manufacturing, Design and Development, and more. The ACM Multimedia Systems Conference (MMSys) provides a forum for researchers to present and share their latest research findings in multimedia systems. The theme of the fourteenth annual power systems conference is "Innovative Technologies for Sustainable Power and Energy Systems". Advanced Metering, Communication, Computing, Control, Distributed Resources and Protection among other topics will be emphasized. The Conference on Networked Systems (NetSys) provides an international forum for engineers and scientists in academia, industry and government to discuss innovations in the realm of networked systems, including aspects of networking, distributed systems, communications, middleware and applications. The theme of ICIS 2014 is Building a Better World through Information Systems. 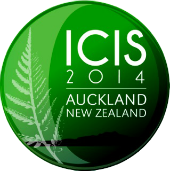 ICIS 2014 will be hosted by The University of Auckland Business School, in Auckland, New Zealand. The DSC Conference is the showcase technical forum of the DSCD. It provides a focused and intimate setting for dissemination and discussion of the state of the art in dynamic systems and control research, with a mechanical engineering flavor. 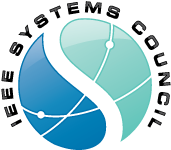 The 2014 DSC Conference technical program will cover the modeling, simulation, analysis, design, and control of dynamical systems. Topics will include control theory, industrial applications, and innovations in dynamical systems and control education. Technical themes for the conference—including advanced manufacturing, renewable and traditional energy, bioengineering and biomedical engineering, and cybersecurity for critical infrastructure—will be featured in special tracks. The program will include contributed sessions, invited sessions, tutorial sessions, special sessions, workshops, and exhibits. Industrial engineering was sprouted from major engineering disciplines that called for better professional understanding of industrialization. Ever since, our discipline has been the star role player in confronting emerging industries; be it manufacturing, service, high tech products, outer space technology, information technology, industrial policy, ergonomics, and now world's greatest concern, sustainable development. The Core value of APIEMS is associating and exchanging the better industrial engineering education, researches, and exchange information from different countries. During August 19-21, 2014, the 23rd INTERNATIONAL CONFERENCE ON SYSTEMS ENGINEERING will be held in Las Vegas, NV, at the University of Nevada, Las Vegas, USA. The proceedings are published in the Springer series Advances in Intelligent Systems and Computing and are indexed by ISI Web of Science Proceedings, DBLP, SCOPUS, Google Scholar, and Springerlink. Selected papers will be published in the Journal of Systems Science and the International Journal of Electronics and Telecommunications. At the ACM conference on Designing Interactive Systems in 2014 we will explore the idea that the design of interactive systems is entering a new socio-technical paradigm around the idea of craft. The theme of the conference is “Crafting Design”. We see the confluence of phenomena that may constitute new approaches and new foci in HCI and interaction design. CHI 2014 is a celebration of the conference's one of a kind diversity; from the broad range of backgrounds of its attendees, to the diverse spectrum of communities and fields which the conference and its research have an impact on. CHI 2014 will take place in Toronto, Canada, a city itself known for its one of a kind cultural diversity. CSER 2014 provides practitioners and researchers in academia, industry, and government a common platform to present, discuss, and influence systems engineering research and will provide access to forward-looking systems engineering research – invited speakers plus refereed papers, as well as perspectives from senior industry representatives. CCSCI 2014 aims to provide a high level international forum to bring together industry professionals, academics, and individuals from institutions, industrials and government agencies to exchange information, share achievements, and discus the advancement in the fields ofcommunication systems and computational intelligence, etc. The main objective of ICPSE 2013 is to provide a platform for researchers, engineers, academicians as well as industrial professionals from all over the world to present their research results and development activities in Power Science and Engineering. The main objective of ICISECS 2013 is to provide a platform for researchers, engineers, academicians as well as industrial professionals from all over the world to present their research results and development activities in Engineering and Computer Science. The annual System Dynamics conference brings together people from around the world to share important research and application results and to build the community of those active in the field. For 2013 we return to the Cambridge-Boston area, just minutes from MIT where Jay Forrester conducted his groundbreaking work. The conference, with a theme of Creating the Future from Within, will emphasize prospective studies with a focus on internally generated dynamics. There will be plenary presentations showcasing important work in the field along with parallel and poster sessions making available the most current research, applications, and work in progress. There is a full day of skill-building workshops covering a range of topics from basic software use to advanced analysis techniques. In addition, there will be panel discussions, special interest group sessions, student colloquia, the modeling assistance workshop, cultural events, vendor displays, exhibits, demonstrations, Society business meetings, and other related activities. The conference schedule will provide time for relaxed social and professional interaction. The Society’s annual international conference is held alternately in North America and Europe, with occasional appearances in Asia and the Pacific Rim. These conferences, and the meetings of local chapters and interest groups, introduce newcomers to the field, keep practitioners aware of current developments, and provide unparalleled networking opportunities. The purpose of the 15th International Conference on Enterprise Information Systems (ICEIS) is to bring together researchers, engineers and practitioners interested in the advances and business applications of information systems. Six simultaneous tracks will be held, covering different aspects of Enterprise Information Systems Applications, including Enterprise Database Technology, Systems Integration, Artificial Intelligence, Decision Support Systems, Information Systems Analysis and Specification, Internet Computing, Electronic Commerce, Human Factors and Enterprise Architecture. The Annual IEEE/IFIP International Conference on Dependable Systems and Networks (DSN) is the most prestigious international forum for presenting research results in the field of dependability and security. The rapidly expanding Information Technologies (IT) increasingly form the basis of all imaginable and novel emergent application paradigms, with the technical aspects being as important as the growing socio-economical and societal values. Dependability and security aspects are essential, as both the society and individuals rely more and more on the services delivered by IT. Coping with attacks and unintentional faults in a rapidly evolving technological and application environment generates new challenges for the dependability and security community thus driving DSN. DSN is now in its fifth decade of evolution and has a sustained tradition to address both conceptual and applied research results related to actual questions posed by the rapid IT evolution. This flagship dependability conference addresses the entire spectrum of scientific and technological challenges which are indispensable to solve for partaking the benefits of modern IT. DSN 2013 aims at offering a value focused program including plenary talks, regular papers, experience reports, panels, student forum, fast abstracts, demonstrations of tools and technologies, debate sessions, together with state-of-the-art workshops and tutorials. The tradition of offering a high quality program assumes the contribution of the leading researchers and we look forward to your participation! CAiSE is a well-established highly visible conference series on Information Systems (IS) Engineering. It covers all relevant topics of IS engineering such as methodologies and approaches for IS engineering, innovative platforms, architectures and technologies, and engineering of specific kinds of IS. CAiSE conferences also have the tradition of hosting several workshops in its area. Workshops are intended to focus on particular topics and provide ample room for discussion of new developments. CAiSE'13, the 25th instantiation of the CAiSE series, invites proposals for workshops to be held in conjunction with the conference, related to the CAiSE topics, covering new emerging topics and targeting ground breaking papers in the special focus area. Subsequent AAMAS conferences have been held in Melbourne, Australia (July 2003), New York City, NY, USA (July 2004), Utrecht, The Netherlands (July 2005), Hakodate, Japan (May 2006), Honolulu, Hawaii, USA (May 2007), Estoril, Portugal (May 2008), Budapest, Hungary (May 2009), Toronto, Canada (May 2010), Taipei, Taiwan (May 2011) and Valencia, Spain (June 2012). AAMAS 2013 will be held in May in Saint Paul, Minnesota, USA. AAMAS is the largest and most influential conference in the area of agents and multiagent systems, the aim of the conference is to bring together researchers and practitioners in all areas of agent technology and to provide a single, high-profile, internationally renowned forum for research in the theory and practice of autonomous agents and multiagent systems. AAMAS is the flagship conference of the non-profit International Foundation for Autonomous Agents and Multiagent Systems (IFAAMAS). The main theme of the conference is “Technology for efficient green networks”. Sustainable development of economies while preserving the environment is a great challenge in the 21st century for the planet. The development of human-oriented services for enhancing life and mobility is of primary importance. Green networks involve almost all economic and social areas such as information and signal transmission networks, energy and water distribution networks, and goods and people transportation networks. Although public, private and governmental institutions in many countries have targeted green networks for several decades, the true achievement of efficient green networks depends crucially on real and significant progress of advanced technologies and innovative methodologies in design, management, control of networks, cooperation among all partners, and coordination at different levels, especially for information systems and infrastructures. This conference will provide a remarkable opportunity for the academic and industrial communities to address new challenges, share solutions, and discuss future research directions. It will feature plenary speeches, industrial panel sessions, funding agency panel sessions, interactive sessions, and invited/special sessions. Contributions are expected from academia, industry, and management agencies. The fourth International Conference on Knowledge and Systems Engineering (KSE 2012) provides an open forum for intensive discussions and exchange of the latest advances in Knowledge and Systems Engineering research. It will be held in Danang, a city in the middle part of Vietnam well-known for its beautiful beaches, 17-19 August, 2012. KSE 2012 is organized by the Danang University of Technology, the University of Danang and the University of Engineering and Technology of Vietnam National University, Hanoi. The systems sciences provide a platform of concepts and language that enables communities of interest to transcend disciplinary boundaries towards developing new knowledge and perspectives. 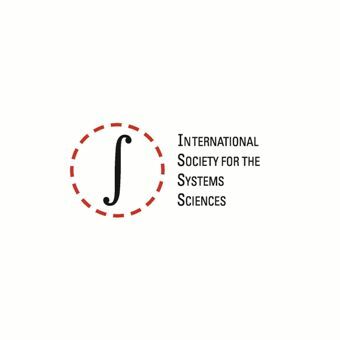 The ISSS 2012 theme of Service Systems, Natural Systems draws attention to complex issues in today's world, where dialogue amongst the learned may lead to better futures. The CESUN 2012 International Engineering Systems Symposium will be the third in a series. Since the first two highly successful symposia in 2006 and 2009, the field of Engineering Systems has grown by leaps and bounds. In 2012 TU Delft/TPM will offer you the opportunity to explore how the feld of engineering systems has taken root, grown tall and begun to blossom! The CESUN 2012 International Engineering Systems Symposium will focus on the theme effective design and governance of engineering systems. This three-day event will provide broad perspectives on the latest advances in research, cutting-edge techniques for framing the challenges in the feld, and insights into the tools that work in practice. All sessions will be highly interactive, ensuring that your time is spent in active discussion and productive exchange of ideas. Final versions of accepted papers will be made available to all registered participants of the symposium in advance of the meeting date, so that you can come prepared with questions and comments and hit the ground running. During the presentations, you will be invited to give online feedback via the CESUN 2012 wiki and after the symposium your discussion threads will be made available online as part of the symposium proceedings. You will also be invited to cast your vote for the Public’s Paper Prize and the Public’s Presentation Prize. The Gaming Carrousel will be another key feature of the symposium. Here serious games and simulation models will be used to showcase key results. You will also be invited to get some hands-on experience in playing serious games and have the opportunity to attend a serious game design workshop. ICISEMS 2012 focus on the newly scientific discovery and implementation in all relevant aspects of information technologies, and information systems and management, which enables an enterprise to improve the management and efficiency of its resources, including capital, people, and information systems, to support the achievement of its business vision. The aim objective of IEEA 2012 is to provide a platform for researchers, engineers, academicians as well as industrial professionals from all over the world to present their research results and development activities in Informatics, Environment, Energy and Applications. This conference provides opportunities for the delegates to exchange new ideas and application experiences face to face, to establish business or research relations and to find global partners for future collaboration. International Conference on Advances in Computing and Emerging E-Learning Technologies (ICAC2ET 2012) is designed to provide a common platform to the experts and delegates to share their experiences, research ideas and discuss various related issues and challenges. ICAC2ET 2012 will discover some new technologies that will assist the attendees to fulfill their dreams. It will have discussion on Educational structures over crossing country borders - international recognition of qualifications and comparability of qualifications, Sharing best practices on intercultural education and lots more. The aim of this conference is to provide a leading edge forum to foster interaction between researchers and developers with the Advanced in computing and E-Learning Technologies , and to give attendees an opportunity to interact with experts in academia, industry, and governments.